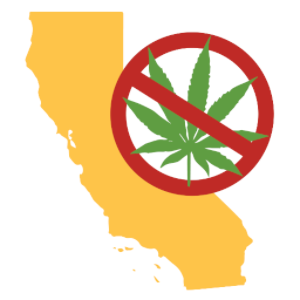 Official Logo of the No on Prop. 64 campaign. “As expected, the ballot measure to commercialize non-medical marijuana has qualified for the November 2016 ballot. This campaign will very be similar to that of Proposition 19. They have the money and No on Prop. 64 has the facts. Under current law, convicted cartel meth and heroin dealers are banned from being involved in medical marijuana, but this initiative overturns that ban and lets these felons be licensed to sell recreational marijuana. The proponents were specifically advised by numerous law enforcement groups during the comment period about this huge flaw, but they deliberately chose to keep it in, and you have to ask “why?” Who is that provision for? They got it wrong. Again.